Our kids are born & raised Floridians, and Sharon & I are near natives, so snow is quite a novelty for our family. Every winter, the kids lament the fact that they’ve never seen snow. This spring, we were determined to make it happen. We planned a trip to Colorado Springs with the specific intent of seeing snow. Our original plan was to spend our entire visit in Colorado Springs, where Sharon has friends. Unfortunately there wasn’t any snow there, except for on Pikes Peak (which we’ll cover in a separate post – Pikes Peak is so amazing, it deserves its own post). In fact it was unseasonably warm for parts of our visit, with temperatures reaching into the 70’s. Never fear – we still saw plenty of snow! We ended up splitting our time between the mountains west of Denver (where there was plenty of snow) and in Colorado Springs. Despite the lack of white, fluffy precipitation in Colorado Springs, we still managed to do plenty of exploring and have a fantastic time. One of the highlights of our trip was the Garden of the Gods – at least it was for me. I was really quite taken with this natural treasure, and although I didn’t get to spend as much time there as I would’ve liked, it was a start. Garden of the Gods is a free public city park. 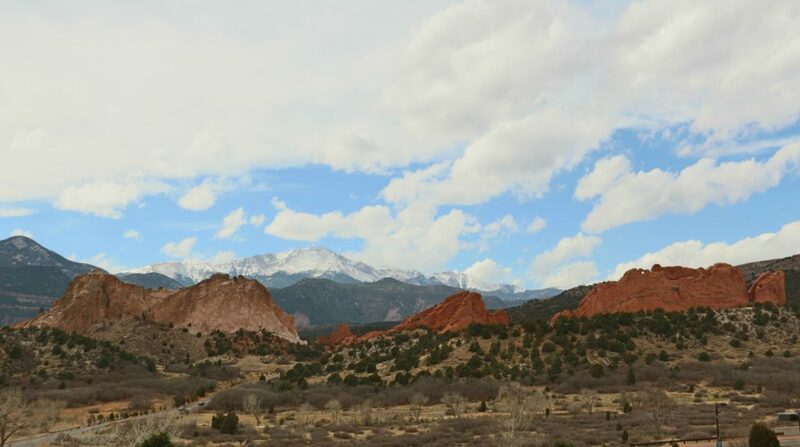 Nestled west of Colorado Springs near Manitou Springs and Pikes Peak, it features massive, upright rock formations. Some of the rock formations are 300 feet high and have whimsical names like The Kissing Camels, The Bear and the Seal, and the Siamese Twins. It is a hugely popular tourist attraction, with something for just about everyone to enjoy – hiking, rock climbing, mountain biking, bird watching, horseback riding, and so much more. It has paved paths, which make it both wheelchair and stroller accessible. And you can explore the park on foot or enjoy the spectacular views from inside your vehicle. If you’ve got a photographer’s eye or an interest in natural history, you can spend an entire day here – maybe more. For the typical family (especially for meltdown-prone families like ours), a couple of hours is probably enough time. Even if it’s the latter, you’ll regret not coming here. The proximity to Manitou Springs makes it a worthwhile side trip even if you’re not geologically inclined. And did I mention that it’s free? First – don’t skip the Visitor’s Center! The exhibits on geology, flora, and fauna are visually stunning and very well done.There are some hands-on geology and animal exhibits, which we all found entertaining. 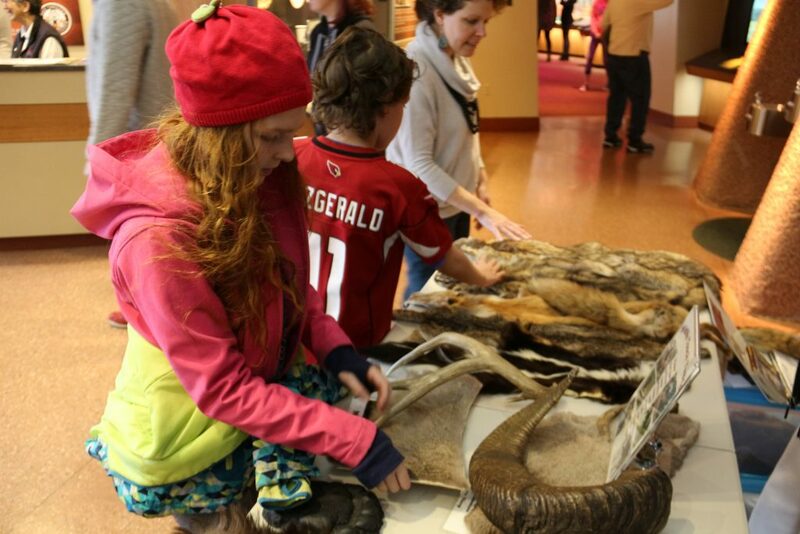 We also enjoyed an interactive display with a variety of animal pelts – we were able to touch them and feel their different textures. 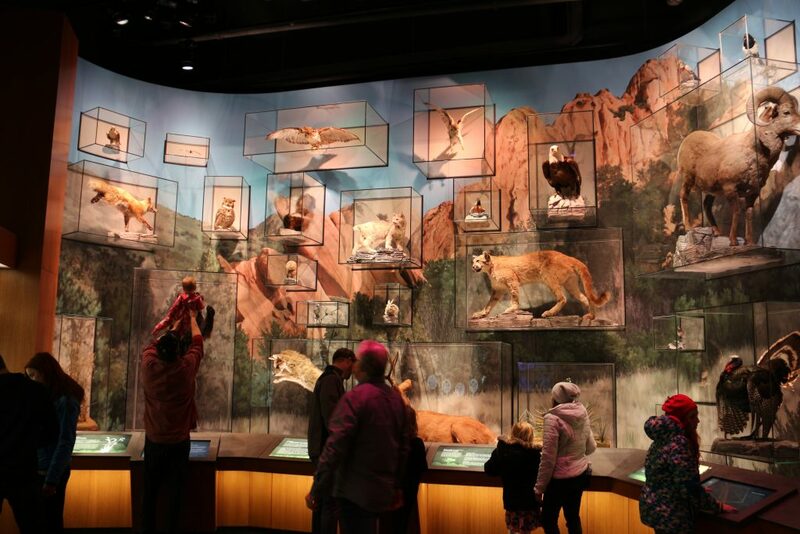 For those who have the attention span, there’s a great exhibit about the unique environment of Colorado Springs – a place where the prairies meet the Rocky Mountains. 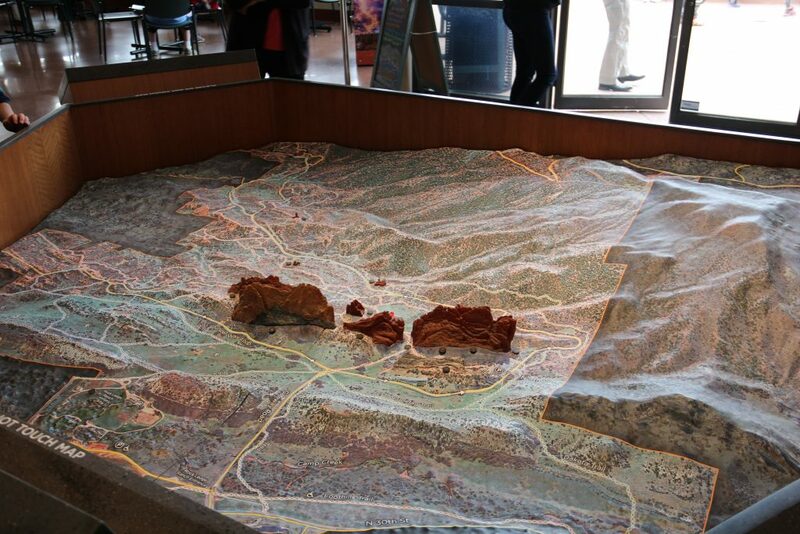 In the center of the Visitor’s Center, there is an interactive 3D model of the entire park. Press a button and a section of the park lights up, which makes it easier to identify the different rock formations. The “Wheel of Time” is also pretty entertaining. Watch an entire year’s worth of video overlooking the park one frame at a time, and observe the dramatic changes with each season. Turn the wheel and back & forth through time. It’s a very surreal experience, like something out of a Dr. Who episode. This was especially cool for our Florida family, where summer lasts about 10½ months and the scenery rarely changes. The Visitor’s Center has clean bathrooms with an above average cafe compared to most amusement parks. The gift shop is eclectic featuring some amazing geodes, books, crafts, pictures, souvenirs, etc. My children would have happily spent all day in the gift shop, but that’s not unique to this visitor’s center. The best part of the Visitors Center by far is the view. You can get a picture of the entire main formation in one frame with Pikes Peak in the background. It’s postcard perfect and definitely one for the family photo album. If you get an early start on your day, it’ll be easier to beat the crowds and get a good photo. The central parking area (and the lot closest to the park entrance) is located near the largest rock formation, but there are several parking areas throughout the park near the outlying formations. Go early or you’ll have trouble parking in the more popular areas. Google Maps includes a predictor that will show you when it is most busy, so use that to plan your visit. If you’re into experiencing natural scenery, you can expect to have at least one day’s worth of features to explore. 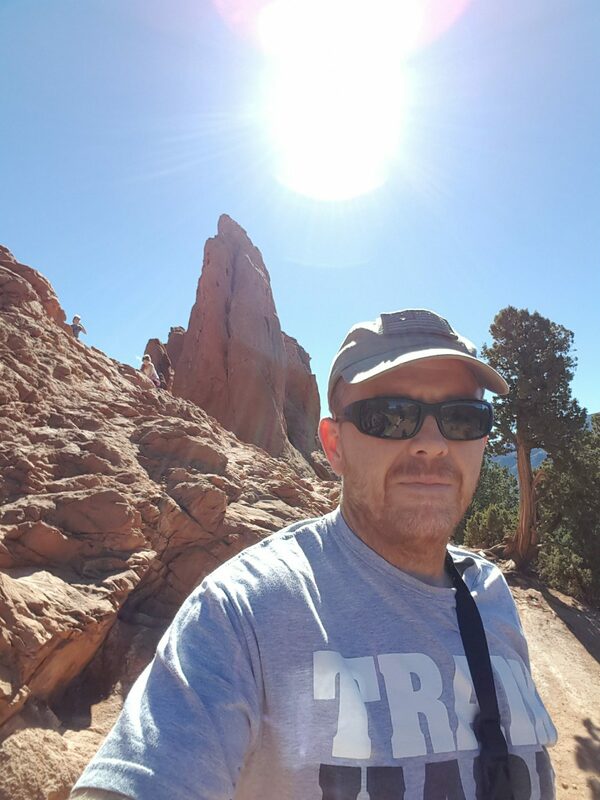 If you’re into hiking and it’s something that your kids will tolerate (without you wanting to throw them off a rock outcropping), this is an amazing hiking location. There are a number of easy trails (as well as more challenging trails if you’re feeling adventurous). Be sure to grab a map at the Visitor’s Center. If your kids can’t or won’t do a lot of walking (like ours), you’ll be able to find a lot of interesting geology to explore near the main parking area. If you’re lucky, you might even spot some wildlife not too far from the parking lot. Lots of animals call the park home, including a variety of birds, mule deer, bighorn sheep, foxes, bears, bobcats, bats and many more. Just remember that the park is spread out and you can wind up doing a lot of walking, possibly without intending to do so. Remember to keep track of how long & how far you’re walking to ensure that everyone has enough energy for the return walk. If you have children who become bored quickly, you probably can’t count on spending more than a couple hours here. You can “trick” them into staying longer if you plan a picnic while you are there. Or check out the Self-Guided Nature Hiking Program, which includes a hike and scavenger hunt. We didn’t learn about this program until after our trip, but it’s definitely something we’ll look into on our next trip. It’s $4 per child, and advance registration is required. There are also free guided nature walks, led by volunteers. Guided walks depart daily from the North Main Parking Lot (weather permitting) at 10 a.m. and 2 p.m. The Perkins Central Garden Trail is paved and wheelchair accessible. We didn’t hike this trail, but it sounds like the view here is fabulous! The Visitor’s Center is also wheelchair accessible. And remember, you also have the option of exploring the park by car. Oh, and bring the dog! Dogs on a 6-foot leash are allowed in the Garden of the Gods Park. There is one designated area where dogs can run unleashed, which you can find HERE. It was crowded when we arrived, and we weren’t able to find a parking space in the main area. We had to drive a bit further in to find parking, but it wasn’t too difficult. At first my daughters were very interested in exploring the park. We saw some deer nearby as we made our way up the first rock outcropping, and we were all hoping to see more wildlife. Everyone was unharmed, but this mishap put a real damper on things. Our sweet, adventurous Sophia transformed into an angsty, pouty tween. Things went downhill, and everyone got bored pretty quickly after that. The girls managed to entertain themselves for a little while by collecting different types of rocks, but our visit to the park was cut short. Oh well – life happens, right? 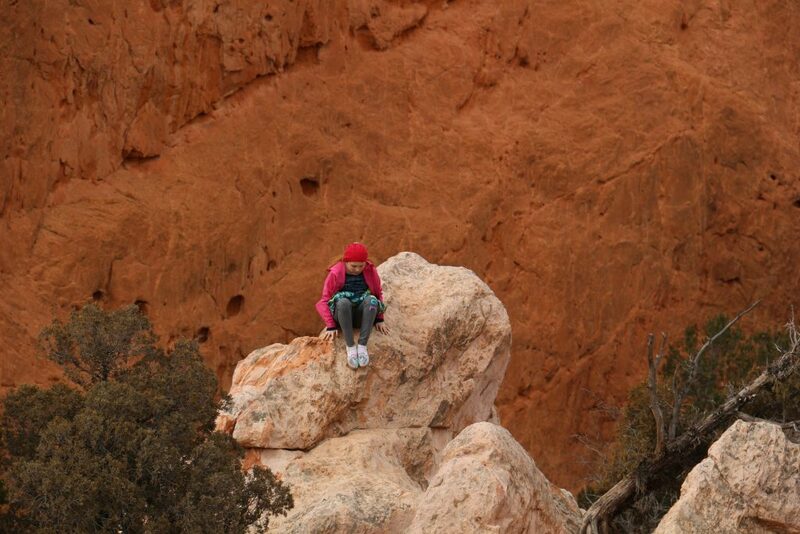 Sharon investigated private guided rock climbing tours and classes, but hiking at Garden of the Gods was not in our budget. We did find a more reasonably priced rock climbing expedition in a different location, but it was a seasonal program and not available during our visit. Rock climbing is going on the bucket list for now. On our last day while Sharon and the girls were at the Penny Arcade in Manitou Springs, I came back to do some exploring on my own. I spent almost two hours hiking and shooting photos. If you are into photography, dilettante or professional, there are more opportunities for photography than there is time. This visit helped reinforce my need for a dedicated wide angle lens. 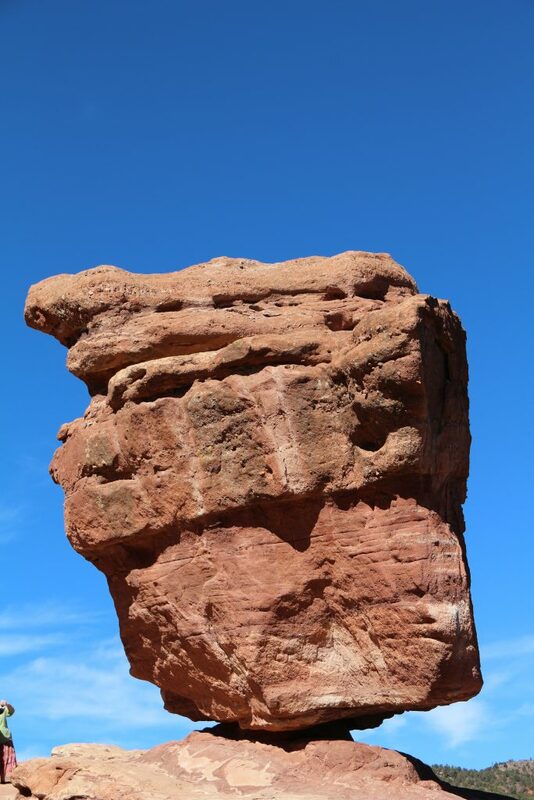 Earthy red rock formations contrasted with the Alpine blue sky made for some dramatic scenes. My attempts to convey the presence of this location are amateurish and probably capture at best 1% of the majesty of this park. I found Balancing Rock by accident on my way back to pick up the ladies, and I stopped briefly to explore. This was something I knew that all 4 of us would be interested in, so I convinced them to go back into the Garden to see this one feature. Balancing Rock was one of the highlights of the park, and this second visit to the Garden of the Gods was probably one of the best parts of our week-long vacation. Sophia and Amelia actually found this geologic feature interesting. Who wouldn’t? It’s a several ton piece of rock that looks like it will precariously fall over at any moment. Let’s get under it and snap a pic! Try to push it over… Be sure you get some touristy photos of yourself holding up the rock. If you’re in the Colorado Springs areas, this is a must-see. There is no admission or parking fee, although donations are suggested, and I encourage you to make one so that places like this can remain accessible. If your family is into photography or natural history (especially geology), you can spend all day here; otherwise, you’ll probably want to spend a few hours here and move on. This is an ideal location for a picnic, which is a great way to squeeze in a little extra time among this amazing scenery. Expect to do lots of walking – no more so than at Disney or Universal, but you’ll still want to keep the walking in mind if you have younger children. Some rock formations are treacherous, so you need to keep a close eye on your children (and wives – Sharon slipped and nearly fell while I had my back turned). 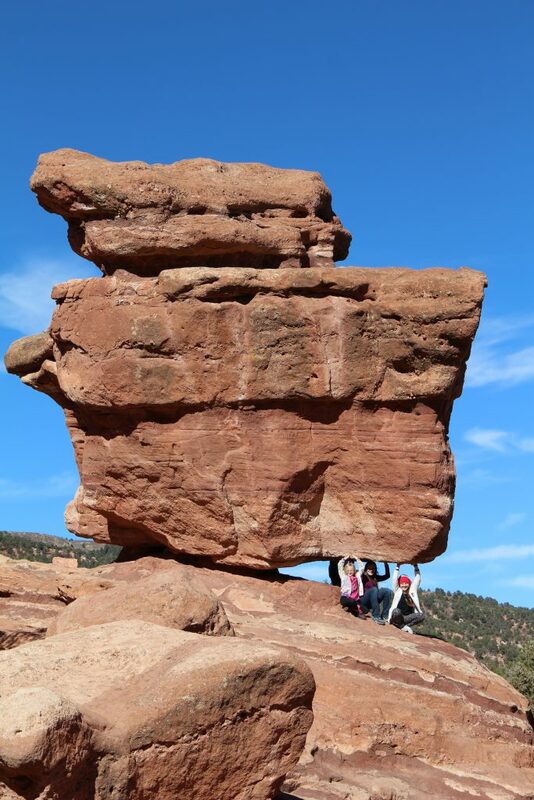 And if you don’t have a lot of time, at least see the Balancing Rock. Don’t forget your water, your sunscreen, and (if you have one) your DSLR camera. And be sure to stop by the Visitor’s Center to grab a free trail map. Like so many of earth’s phenomena, pictures don’t do Garden of the Gods justice, so you’re going to want to add this on your bucket list. 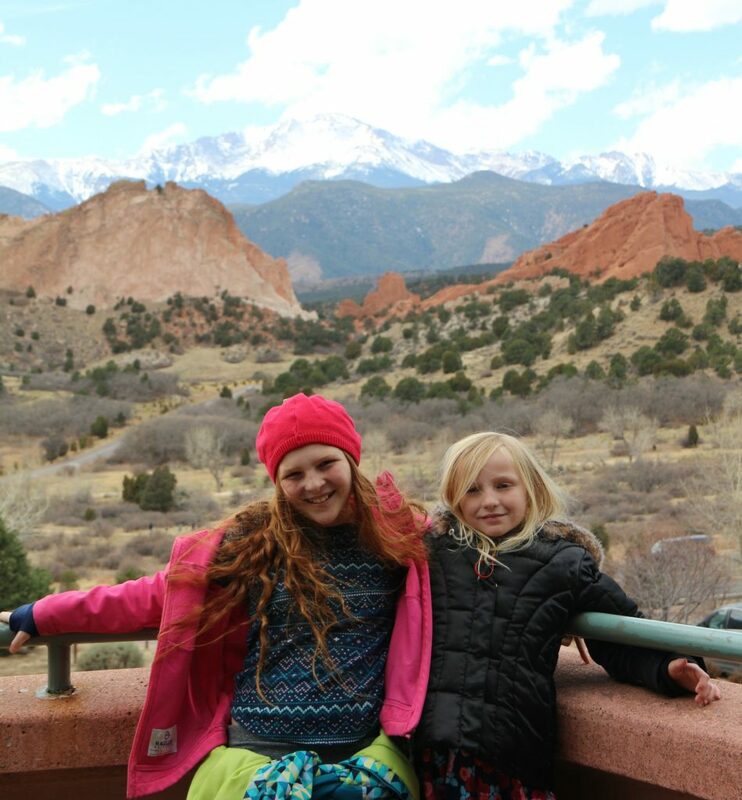 This park combined with Pikes Peak made Colorado Springs a worthy pit-stop on our snow-seeking adventure. Ive been there many times. My daughter and family live there also a son there. I love it. Will probably move there to Co. Sprgs. great outdoor activity place to bring your kids. Just a couple of things before you set off for the day. 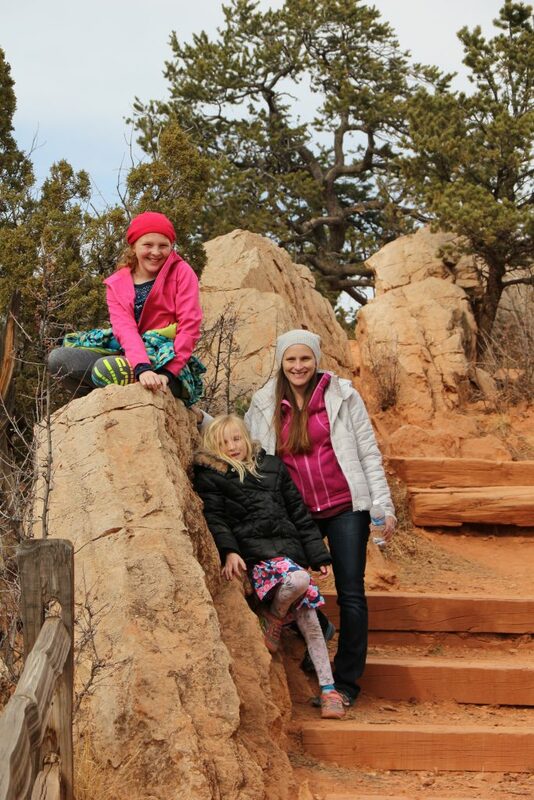 Let’s all do our part to keep Garden of the Gods park pristine for all the years to come. I take it as an unspoken rule for civilized persons that its never alright to litter wherever one is. 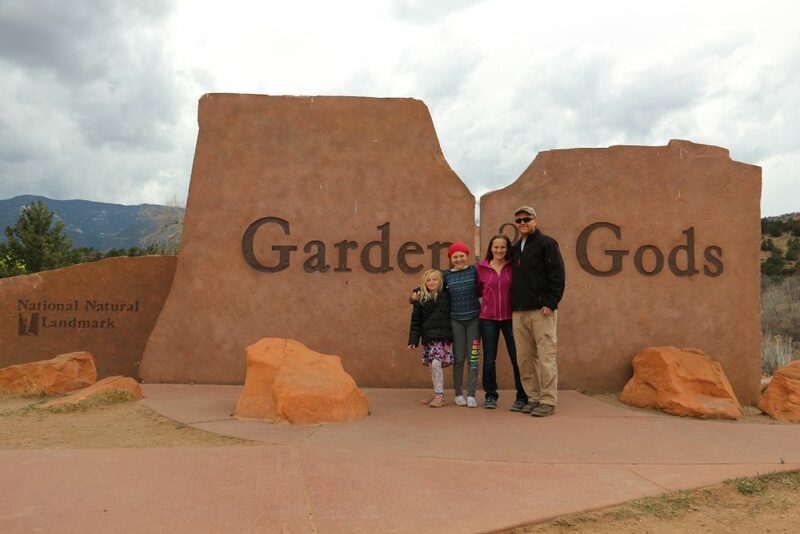 We’re so glad you enjoyed your time in the Garden and at the summit of America’s Mountain! Thank you! We really did. My best friend and her family live there, so we will definitely be planning another trip back there soon. We’re really looking forward to coming back some day. I am so glad that you guys enjoyed Garden of the Gods. It really is a treasure! 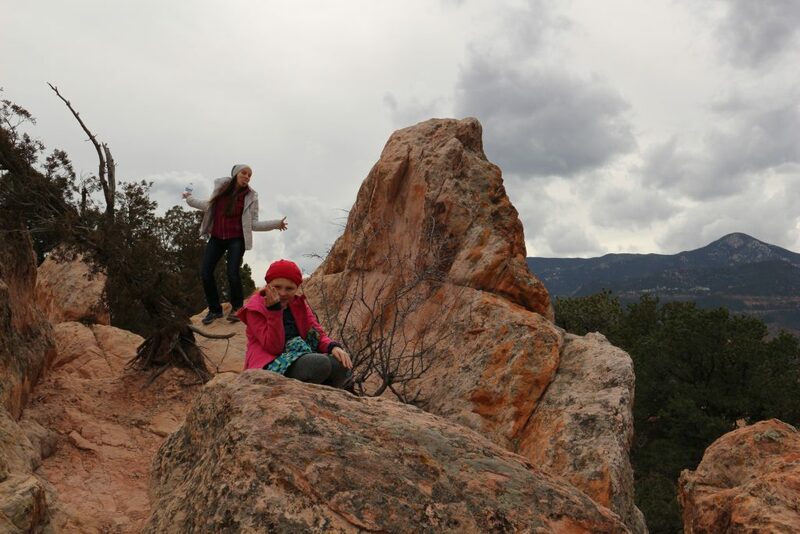 Manitou Springs is also pretty fun! I am so fortunate to call this area home!